Shelby Nichols isn't your average soccer mom turned private investigator. She's more on the quirky side with a little wild thrown in. That's because a near-fatal gunshot wound to the head left her with the ability to read minds. This lands her in all kinds of trouble, and this time is no exception. Helping a reporter, Billie Jo, get the lowdown on a case is just the tip of the iceberg. When her best friend's niece goes missing, Shelby is pulled into a conspiracy that involves the police and the leader of a violent drug ring. Add to that a stranger in town with ties to the mob boss she works for, along with a known assassin out to kill him, and Shelby is crossing danger at every turn. Will she find the answers in time? Or will this be her last adventure? ...she was shot in the head during a bank robbery. Now she is a normal in every way except she can read minds. She has a husband she adores and they have a 14 year old son and a 12 year old daughter. She dropped out of college to send her husband to law school and has been a housewife since their son was born. She has now started a one person consulting/private investigations business. She solves some crimes, but just as often keeps crimes from happening. 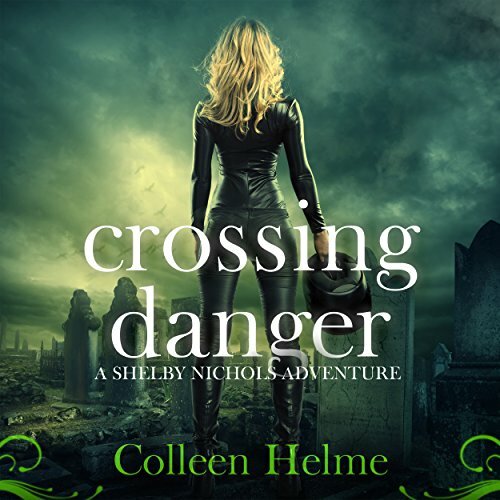 Crossing Danger is Volume 7 of the 10 novel Shelby Nichols Adventures series by Colleen Helme. 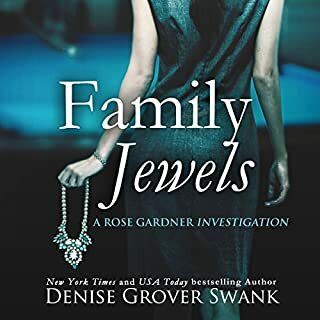 This series is an exceptionally clever mixture of suspense and humor made much better by extraordinary character development. The many repeating characters jump off the page and become real. Narrator Wendy Tremont King is the voice of Shelby. I don't know how she does it but she keeps topping herself, book after book. Now I have to wait for the next Shelby story. I'm a U. S. Navy Veteran, very accustomed to hearing and occasionally using "salty language". What the Freak and Holy Hell? Every time I hear them, I smile. It's rare to find a PG13 mystery/romance novel and I appreciate that too! Despite trying to stay out of trouble, Shelby is drowning in it. 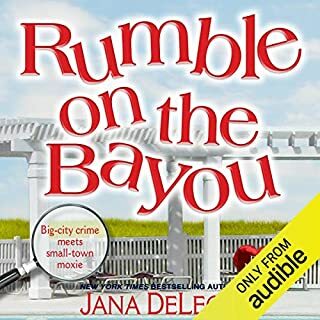 Her friend, Billie Jo, asks for Shelby’s help uncovering a corruption in the District Attorney’s office. When burglars are sent to steal her flash drive, Billie gets roughed up so bad she nearly dies. Unfortunately, the corruption doesn’t stop there. When her friend’s niece, Chloe, goes missing, things take an interesting turn when the girl shows up at Shelby’s house. After witnessing a double murder done by a corrupt cop, Chloe turns to Shelby for help and the two cases are linked. When an FBI agent from Uncle Joey’s past comes in to solve the two cases, it becomes pretty clear that Shelby is Crossing Danger at every turn. Can Shelby solve the cases and come out alive? How do all the pieces of the cases fit together? Narrator, Wendy Tremont King is a great complement to Colleen Helme’s book. Her unique intonations bring to life Colleen’s well developed characters and Shelby’s world. The character dynamics were even more developed in this book and added a lot of humor to the story. The plot is complex, engaging, and keeps the reader guessing what’s going to happen next. The author’s mix of action, mystery, romance, and adventure was well done and extremely entertaining. The author expertly switches between internal and external dialogue and King smoothly handles them with a mixture of humor and pizzazz. Readers who have read the other books in the Shelby Nichols adventures won’t be disappointed. Newcomers to the Shelby scene will be able to easily pick up on the story line, but it is recommended people at least read the one before this, because it builds on the last book. Recommended for anyone who enjoys a fun, paranormal mystery with a bit of romance intermixed. This ditsy determined darling, reads minds to solve the problems of her own clients, police, and Uncle Joey (the crime boss). Great plots, well defined characters, tears mixed with humor makes for a story that’s hard to put down. KEEP THEM COMING ! I loved listening to Crossing Danger! Wendy does such a great job bringing Shelby to life. I love the Shelby Nichols Adventures! It's fun to go back and listen to them after I've read them first. I'm excited for the next book! 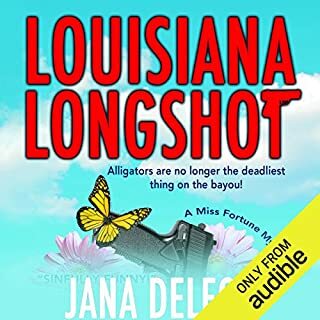 Where does Crossing Danger rank among all the audiobooks you’ve listened to so far? This entire series is at the top of list of favored audio books. I do not have one favorite character because they work well together. Of course, Shelby is a favorite as the main character, but I also enjoy Uncle Joey and Ramos, her oldest friends of the series. There relationships to Shelby are unique, caring and honest, even as Uncle Joey is a mob boss and Ramos is his hit man. I love the loving marriage Shelby has with Chris, from trying to figure out how much to honestly tell him, to always telling him everything anyway. I love that Uncle Joey and Ramos are always there to protect Shelby in the nick of time. Everything! I read the first eBook, Carrots, and, before finishing it, went back and bought the second book, Fast Money from Amazon. Then, I saw the Whisper Sync audio books for both were available for a low price and bought them immediately. Though I finished reading Carrots, I immediately queued up the audio books, listening to the first book again before moving onto the second, and haven't gone back to print because Ms King does such an excellent job with all of the voices and all of the emotions. I LOVE the flirty-ness between Ramos and Shelby. I love the "requests" of Uncle Joey that aren't really requests. I can read the words as Ms Helme wrote them, but Ms King reads them much, much better and lets me experience the book, rather than read the book! 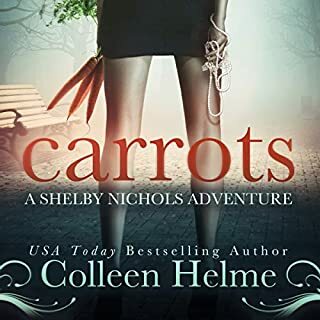 Yet another fantastic installment of Shelby Nichols Adventures by Colleen Helme. 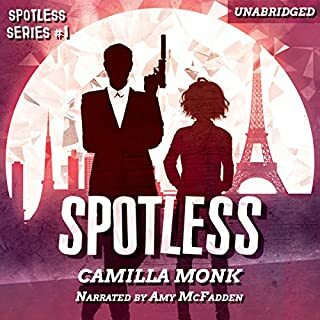 I am a consistent, constant fan of the Shelby Nichols Adventures series and was thrilled to receive this audio book in exchange for a review. The only drawback of finishing this book is the need, now, to wait for the next adventure. This is the seventh book in the series and I certainly hope Ms Helme doesn't run out of ideas for a long time to come!! If you are not familiar with this series, Shelby Nichols is a stay-at-home mom turned consultant-for-the-police and consultant-for-a-mob-boss and consultant in her own business. This all began less than a year ago (in the time frame of the series) when an escaping bank robber's bullet grazed Shelby's head when she was at the grocery store. The head injury left her with the ability to hear other people's thoughts. Add to this unique mind-reading ability the knack of getting into trouble by being in the wrong place at the wrong time, and you have a fun, funny character accumulating an interesting circle of friends with endless situations for Shelby to "help". Few know of Shelby's ability, others think she has "premonitions". Either way, sometimes Shelby speaks without thinking and adds more trouble to her plate. If you are interested in this series, they can be read out of order, but you truly should read the first book first. Reading the books in order helps keep the development of her relationships with various people/friends in tact.If you are already familiar with this series, Shelby's life in the last book, Deep in Death, and this book, Crossing Danger, is becoming more complicated and it is interesting how her many cases end up being related to one another. I like how Colleen Helme has been upping the ante for Shelby by giving her an assignment from Uncle Joey, and a case with Detective Harris AND another case by helping a friend or through her newly founded business (as was the situation in Deep in Death). Ms. Helme surely keeps the story interesting with the many to-dos Shelby has to do. 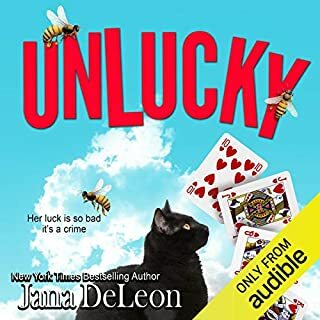 I listened to the audio version of this book narrated by Wendy Tremont King, the same wonderful narrator used in the entire series. Ms King is absolutely excellent in her varied voices for the many characters in this cast. This audio book is 9 1/2 hours in length and has flawless production quality. I recommend this book, this series, to anyone & everyone! Sorry this is the last in the series as of now. Will be waiting for #8. I was an avid Evanovich fan, but I like these books more. Would you listen to Crossing Danger again? Why? Yes! I thoroughly enjoy each of Shelby's adventures, and Crossing Danger is just as entertaining. This story, as with all of the Shelby Nichols Adventures, has several over-lapping plots; introduces new characters, and builds on Shelby's past relationships. I especially appreciate that Ms. Helme allows Shelby to have a happy marriage and be a normal healthy young woman. Very refreshing! I love Wendy's performances with all of the Shelby Adventures! She does a great job with all types of voices (several male characters) and gives Shelby the perfect voice to reflect her personality. The scenes with Shelby / Chris and Shelby / Ramos are super sweet. I look forward to each new edition to the Shelby Nichols Adventures! Exciting and fun! I can wait for the next one and the trip that will follow. This is such a fun series. Shelby is very likable and her interactions with Ramos are perfect. I even enjoy her police friends and kids. Her relationship with Uncle Joey is sweet, even if he is a mob boss. Still not a fan of Chris. He is too whimpy, she needs Ramos! Another great book in the brilliant Shelby Nichols Adventure series! Wendy Tremont King does an excellent job of bringing the characters to life!